Your tires are such an important part of your vehicle and at Kelowna Nissan, we have the expertise needed to ensure that you get the right set of tires for your vehicle. Our tire experts know which tires fit perfectly on your Nissan in both winter and summer, and they also know which tires are right for each driving situation. Come to Kelowna Nissan today and speak with our experts about your next set of winter or summer tires. 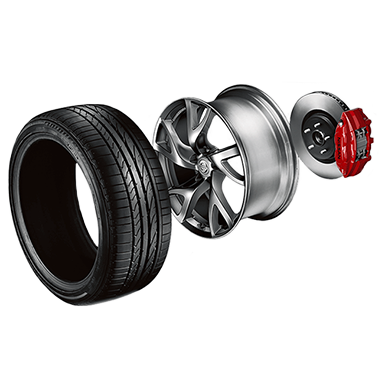 You’ll be amazed at our selection of tires and our knowledge and expertise. At Kelowna Nissan, we make a point of providing our clients with the very best information and value when buying a new set of tires. We can help you store your tires as well once you have purchased them, and we have special offers on our tire selection every season. Come to Kelowna Nissan today and speak with our experts. They will help you get the right tires for your Nissan in no time.